now until April 19th at 5 p.m.
Any article of clothing is welcome and all items will be donated to the Tallahassee Salvation Army. 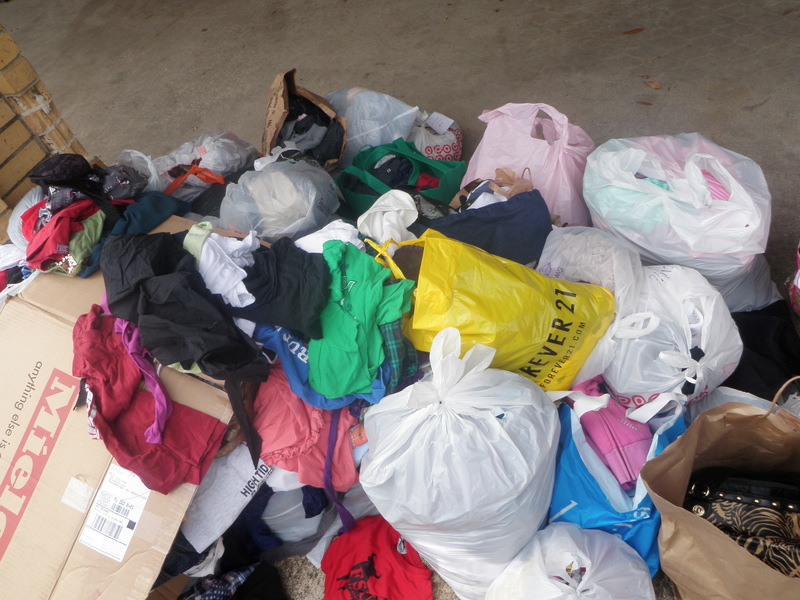 Please help us reach our goal of 2000 clothing items! Last year we collected 1370 items! Drop off locations include: Strozier, Plato’s Closet, Sorority Houses & PINK Events. If you are part of a sorority, the sorority with the most donations will receive 200 coupons for their members. 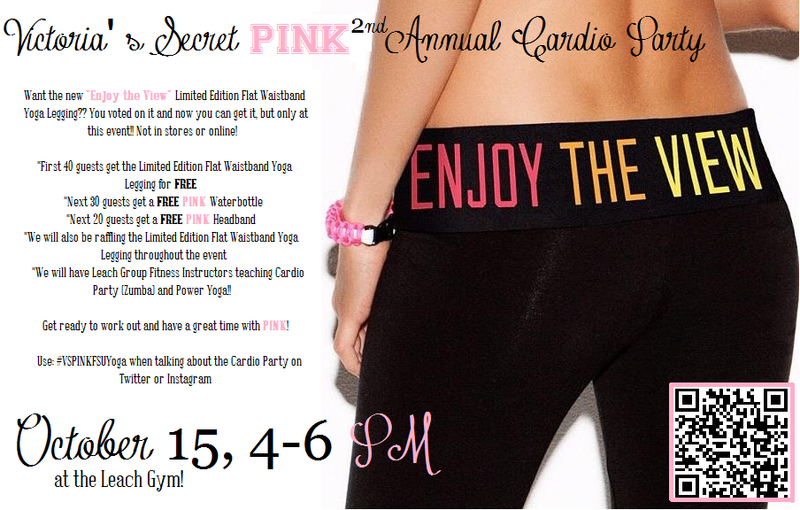 If you are a part of an organization that would like to participate in this competition email vspinkfsu@gmail.com. Today is the Bra Day Scavenger Hunt of Yoga Week! Check social media all day to find out where the PINK Reps will be on campus! The 1st 10 people to find them on campus will receive free PINK Yoga Bras! 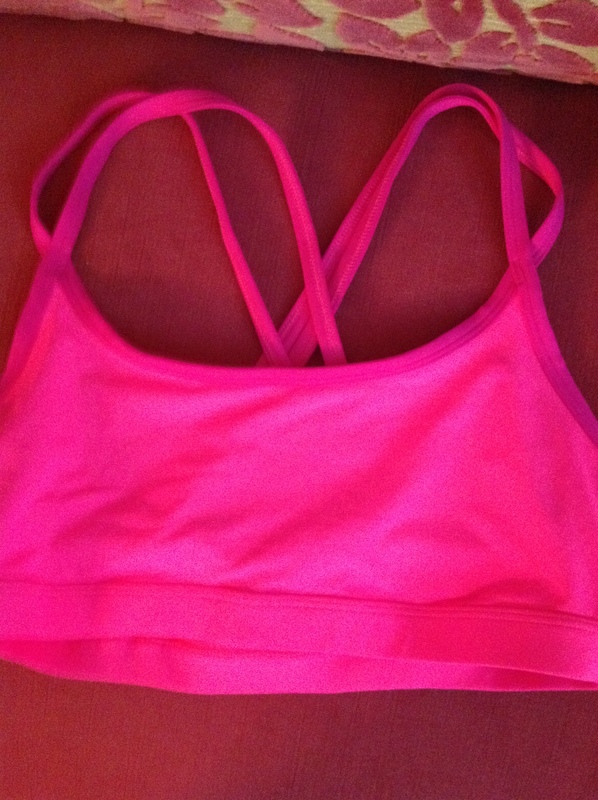 How do YOU wear your PINK Yoga Bra? Comment Below! I like that it creates shape while providing support. I wear it a lot under my v-necks and frat tanks to the gym. I wear my Yoga bra under racer-back tanks with a cardigan. No one knows that I’m not wearing a real bra, and I’m comfortable. Best outfit to wear to class! I love wearing my PINK yoga bras to class, especially under frat tanks with matching yoga pants. I get to stay comfy all day long. 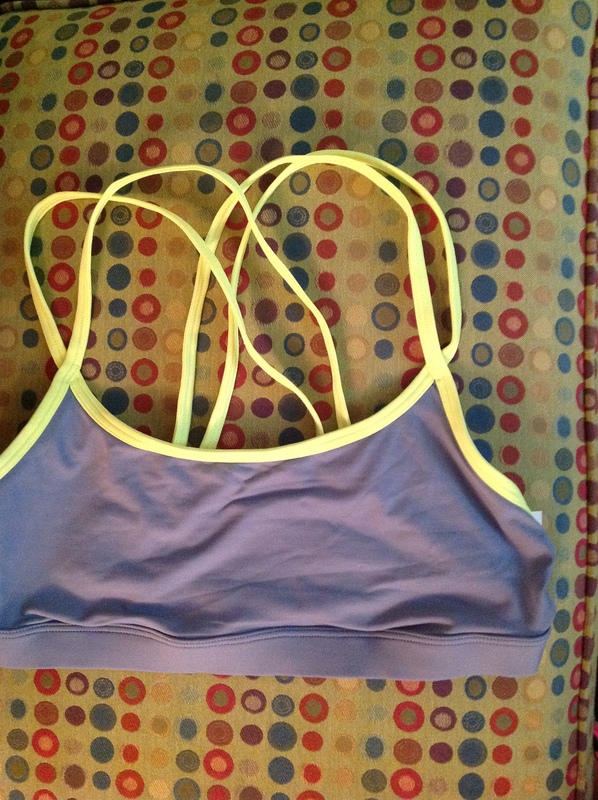 The yoga bra is my favorite to wear under a comfy t-shirt on a lazy day! 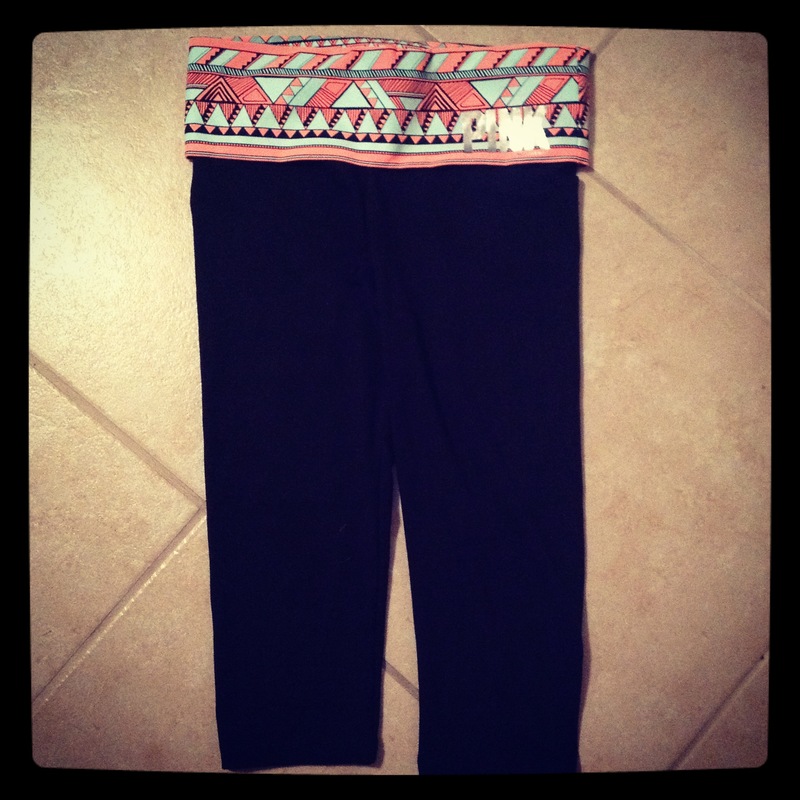 I love wearing the yoga bra to dance class with my VS PINK crop tops or under my leotards. The bra is cute and comfy, and always does the trick. Lift AND comfort? That’s the dynamic duo. I wear this bra during my evening runs to ensure that I’m getting the right amount of support. Our final event of yoga week is our Cardio Party! And don’t forget to come to the Breast Cancer Awareness Dessert Potluck featuring VSPINKFSU Sunday at Players Club from 4-7 p.m.! OH, SNAP! PINK wants to know what YOU love! Snap the things you’re living in and loving this fall, pretty them up with your fave PINK filters in the PINK Your Pics section of the PINK Nation App and share them with PINK Nation by tagging #LiveInWhatYouLove. You can also share pics via Instagram, Pinterest and Twitter. Think shopping hauls, decked out dorms, campus adventures – you love it, PINK wants to see it! Right now I am obsessed with the boyfriend tee. 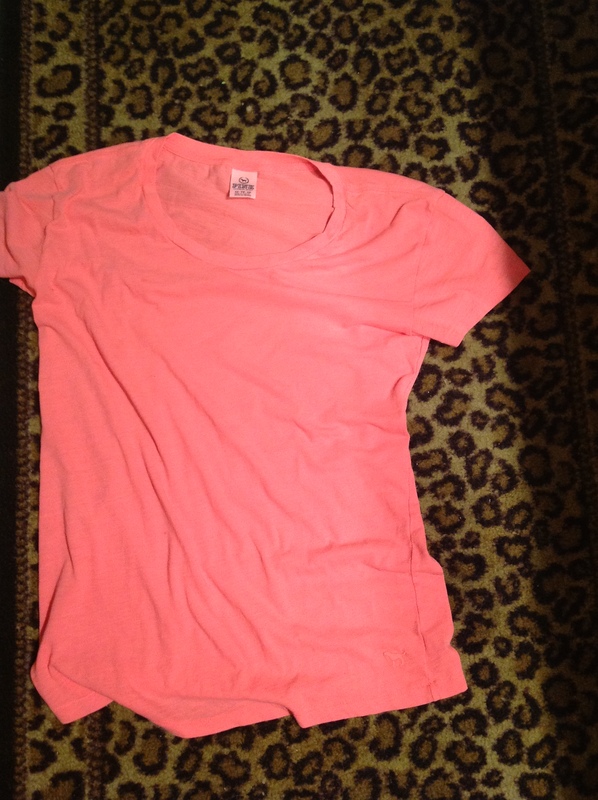 This is a perfect tee for wearing to class or the gym. It comes in bright, fun colors to give a dull, going-to-class outfit a little more flare! 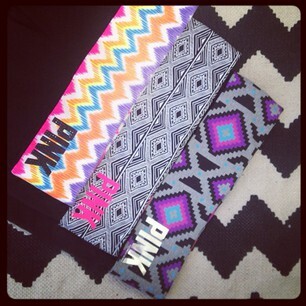 I am also loving the Aztec-looking print on the new yoga crop. This band shows that I am keeping up with trendy patterns even when I am just running errands. Pair this outfit with bright sneaks, a PINK duffle bag and a PINK head band and you have yourself a fashionable and fool-proof lounge-wear outfit. 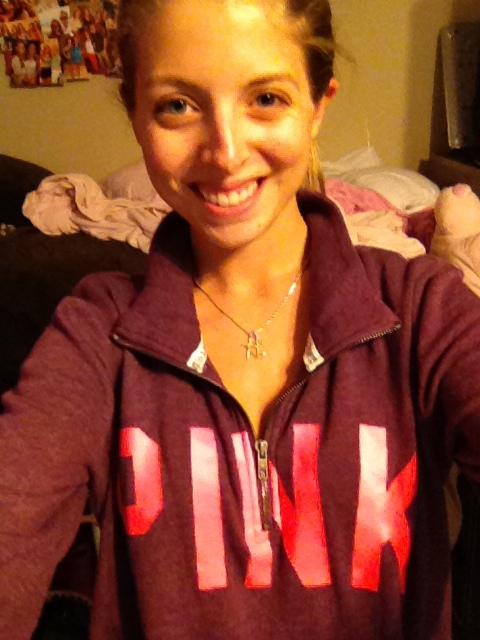 I love my pink half-zip sweatshirt! Not only is it super comfortable,but it’s also fashionable and fun-colored! The sweatshirt is very versatile, so I can wear it over a cute outfit, lounging around and working out. It is the perfect sweatshirt! The bralette is perfect for layering! What are YOU loving this fall? Feel free to comment below, share on Twitter, Instagram and Pinterest using #LiveInWhatYouLove. Also, use @vspinkfsu so we can see what our fellow Seminoles love to live in!